According to the annual report from the Danish central bank, Danmarks Nationalbank, Danmarks Nationalbank’s stress test of the credit institutions showed that even in a severe recession the systemic institutions would have positive excess capital adequacy in relation to the minimum requirements. Finansiel Stabilitet A/S was established in October 2008 as part of an agreement between the government and the Danish banks. The company is state-owned through the Danish Ministry of Economic and Business Affairs. The purpose thereof was to establish confidence, which was lacking in the Danish financial sector owing to the international financial crisis. Currently, the following companies belong under Finansiel Stabilitet: FS Property Finance, FS Finans I A/S (the former Sparbank Østjylland), FS Finans II A/S (the former Max Bank), FS Finans III A/S (the former Amagerbanken), FS Finans IV A/S (Fjordbank Mors) and FS Finans V A/S (Andelskassen JAK Slagelse). According to Statistics Denmark, there was a minor reduction in the number of bankruptcies in 2017. The number of bankruptcies was 5,468 in 2011, 5,634 in 2012, 4,993 in 2013, 4,049 in 2014, 4,029 in 2015, 6,674 in 2016 and 6,383 in 2017. If a company is unable to pay its creditors at maturity, the company may file a petition for restructuring proceedings with the Danish bankruptcy court for the purpose of completing a compulsory composition or a (partial) business transfer. The bankruptcy court appoints a restructuring administrator as well as a restructuring accountant. The administrator is an attorney, whose duties as administrator are to take care of and protect the creditors’ interests in the company. The reorganiser must be independent and meet the Bankruptcy Act’s requirements with respect to impartiality, and accordingly the administrator may, for example, not have been the company’s attorney. The accountant may not have been the company’s auditor for a period of two years prior to the restructuring proceedings. The Danish rules on restructuring proceedings ensure that all creditors are treated equally, notwithstanding their size and nationality. However, under a compulsory composition, some creditors are entitled to full recovery, other creditors may accept a dividend and some creditors’ claims lapse, depending on the type of the claim. The day of filing a petition for restructuring proceedings to the bankruptcy court establishes a reference date (the commencement date of the proceedings), and after the reference date until completion of the restructuring proceedings, debts may only be paid in accordance with the order of priority of creditors or if the payment is necessary to in order to avert loss. The company may be restructured by means of a compulsory arrangement with the creditors for an extension of payments or payment of compulsory dividend, or both, or an arrangement with the creditors concerning a (partial) business transfer of the company. The management of a company in restructuring will continue to have management powers in accordance with the Companies Act, but any significant decisions must have the prior approval of the administrator. However, upon request by the debtor or the creditor, the bankruptcy court may decide that the administrator is to take over management and control of the company. Furthermore, the administrator automatically takes over the management of the company, if the restructuring proceedings are initiated without consent from the management of the company. In the restructuring period, the company is protected against individual debt proceedings and other rights to seek satisfaction in the company’s assets. However, some specific types of debt proceedings are not affected by the restructuring proceedings. 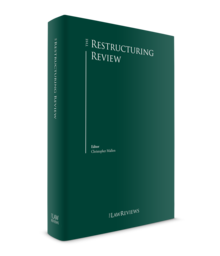 After the restructuring proceedings are initiated, the process of restructuring starts with a restructuring plan that is subject to a vote at a creditor meeting, which shall be held no later than four weeks after the initiation of the restructuring. After the approval of the restructuring plan, the administrator shall within six to 10 months present a restructuring proposal to the creditors for their approval. If either the restructuring plan or proposal is not approved, the company will pass on to bankruptcy proceedings. A restructuring plan will be considered approved unless a majority of the creditors present votes against the plan and they represent a minimum of 25 per cent of the known amounts entitled to vote. Accordingly, both the number of creditors and the amounts entitled to vote are important to the voting. There are no voting rights attached to debts of full or no coverage and to related parties’ debts. With respect to the compulsory composition, voting rights are only attached to debts to the extent that the debts are effected by the composition but do not lapse as a result thereof. A restructuring proposal is considered approved unless a majority of the creditors present votes against the restructuring proposal. The voting procedure is arranged according to the amounts of the creditor’s claims, but there are no voting rights attached to debts of full or no coverage and related parties’ debts. Accordingly, the number of creditors voting against a restructuring proposal is irrelevant at the voting regarding adoption of the restructuring proposal – contrary to what applies with respect to the adoption of the restructuring plan. The restructuring can only result in a compulsory composition or a business transfer or part thereof. In case the only outcome of the restructuring is a business transfer, bankruptcy proceedings against the company in restructuring are commenced immediately. the meeting may be further adjourned for two months for the purpose of reviewing the proposals for restructuring. This means that the maximum duration of restructuring proceedings is 12 months. A petition for bankruptcy may be filed by a creditor or by the debtor itself to the bankruptcy court. If the bankruptcy court finds that the debtor is insolvent and that the insolvency is not considered to be of a temporary nature, the bankruptcy court will decide to commence bankruptcy proceedings against the debtor. If a creditor is to file for bankruptcy against a company, the proceedings are conditional upon said creditor’s payment of a security of 30,000 kroner for the costs incidental to the preliminary administration of the estate. In the event a creditor has floating charge over the debtor, this creditor is required to pay a security of 50,000 kroner. Under certain circumstances, the bankruptcy court may disregard the condition of a security, but this is a rare exception. If the petition is filed by the debtor (in practice, only companies), security is also a prerequisite for the bankruptcy court to initiate the proceedings, but the claim for security can be disregarded by the bankruptcy court, if the debtor does not have the required 30,000 kroner in cash. When a bankruptcy order is issued by the bankruptcy court, the debtor loses its right to dispose of its assets, rights and obligations. Thus, an estate will be established and the bankruptcy court appoints a trustee of the estate in bankruptcy. The trustee in bankruptcy is appointed at the same time as the bankruptcy notice is issued. The trustee in bankruptcy will manage all affairs on behalf of the bankruptcy estate, including ensuring that all property of the debtor vests in the estate and that the assets are sold for the purpose of paying dividends to the creditors. Accordingly, the trustee in bankruptcy will act as the management and consequently is granted full right of disposal of the bankruptcy estate, and is, therefore, authorised to act on behalf of the bankruptcy estate in all matters, including pending court cases and other disputes, and neither the bankruptcy court nor the creditors are to approve the transactions or arrangements made by the trustee in bankruptcy. However, in the event the estate’s assets are pledged, a sale of that asset requires consent from the pledgee as a starting point. The main objective of the trustee is to wind up the business in favour of the creditors. The trustee has to monetise the assets of the estate. The trustee is obligated to review the company’s records, accounts and transaction history for the purpose of clarifying whether the creditors have been pursued for any unlawful conduct or any unusual business transactions and in this case the trustee can set aside these avoidable transactions. After the records and accounts have been reviewed by the trustee and all assets have been monetised, the estate’s cash holdings after payment of the estate’s administrative costs are distributed to the creditors. The creditors of a bankrupt entity will receive dividends, if any, according to the priority order set out by the Bankruptcy Act. The creditors are ranked into six groups as outlined below. Accordingly, a creditor in a subordinated group will not receive any dividend unless the creditors in the previous group have received full payment of their claims. If a group of creditors only receives partial payment of their claims, the dividend will be distributed proportionally among the creditors. This group covers (1) the costs of bankruptcy entry, (2) the administrative costs of the estate, and (3) the debt incurred under its care. This group covers (1) costs for attempting to achieve a comprehensive settlement of the debtor’s financial situation by restructuring, (2) costs related to liquidation, (3) costs related to compulsory or voluntary composition, and (4) other debt that the debtor has contracted after the reference date with the consent of the restructuring administrator. This group covers (1) claims for wages, (2) damages for claims for wages, (3) holiday allowances, and (4) miscellaneous fees and other requirements. This group covers suppliers’ claims for duty on products that are liable to duty according to certain Danish Acts, and that are delivered to the debtor duty paid for the purpose of resale within a period of 12 months prior to the reference date. This group covers, among other things, tax claims and claims from the debtor’s suppliers. This group covers (1) interest accrued after the date of the bankruptcy order, (2) certain claims under lease agreements, (3) subordinated loans to the debtor, (4) claims for fines, and (5) claims for gratuitous promises. Normally, the trustee in bankruptcy will conclude the bankruptcy proceedings with a statement of affairs and accounts for the estate, including a proposal for distribution to the creditors, and the creditors will receive dividends of their claims, provided that the estate pays dividends to the specific group of claim. A company is generally wound up by compulsory liquidation at the request of the Danish Business Authority. the company’s management has not taken appropriate measures by, for example, capital decrease in relation to requests for payment of unpaid share capital that cannot be paid by shareholders. Before the company is sent into compulsory liquidation, the Danish Business Authority will forward a warning letter to the management of the company with a deadline for compliance. The bankruptcy court may appoint one or several liquidators to be in charge of proceedings. The rules for voluntary liquidation will mutatis mutandis apply to the liquidators’ work in relation to the compulsory liquidation. The former members of the management of the company in compulsory liquidation are committed to the extent necessary to assist the liquidators with information about the company. When the proceedings are completed, the bankruptcy court will notify the Danish Business Authority and request the company to be deleted from the Danish business register. On 1 January 2018, a new provision on avoidance of transactions entered into force. The new provision is a supplement to the existing provision concerning avoidance of gifts performed by the debtor to a connected person. Prior to the implementation of the new provision, it was a requirement for non-occasional gifts to be exempted from avoidance – the gift being registered at the Danish Registration Court. However, the registration requirement was not observed by the parties in most cases. The lack of registration often resulted in situations where the trustee could, regardless of time since the gift was given, invoke that the gift was given under void conditions; hence, the trustee could reclaim the gift for the benefit of the bankruptcy estate. This possibility was not affected by the solvency or insolvency of the debtor. As of 1 January 2018, the requirement has been abolished, and an increased insolvency requirement has been implemented as a replacement. From 1 January 2018, gifts to the debtor’s connected persons that were obviously disproportionate to the debtor’s financial position may be avoided. This means that instead of examining whether a registration of the gift has been exercised accordingly, the decisive factor is now whether the gift was disproportionate to the debtor’s financial position. However, the rule does not apply if it can be proved by the debtor that he or she was not insolvent or became insolvent when the gift was extended, and if he or she undoubtedly had sufficient funds to fulfil his or her obligations. In conclusion, the scope of application regarding gifts was extended in the way that the provisions now apply to situations where the debtor paid amounts that were larger than what was reasonable to support the family taking into account their financial position and the needs of the family, to or on behalf of the spouse or cohabitant on a regular basis. Under the Bankruptcy Act, transactions where the debtor fraudulently prefers one creditor over another creditor or whereby the debtor’s property is withheld from serving to satisfy creditors, or the debtor’s debts are increased to the detriment of the creditors may be avoided if the debtor was or became insolvent as a consequence of the transaction and the preferred party knew or should have known of the debtor’s insolvency and the circumstances causing the transaction to be fraudulent. The Supreme Court has made a decision regarding the extent and assessment of creditors knowledge on the debtor’s insolvency and the circumstances of the transaction. A Danish company, which did business by selling caravans from Germany, was in March 2010 met with a VAT preliminary decision of 9.5 million kroner from the Danish tax authorities. The preliminary decision was based on the authorities’ assessment of the business concept of the company, where the authorities were of the opinion that the caravans could not be acquired under the more advantageous German VAT rules. In May 2010 the company’s bank registered a floating charge3 on the Danish company’s assets. The preliminary decision was upheld by the National Tax Tribunal in November 2010. The Supreme Court’s decision concerned whether the bank’s knowledge could be qualified under the Danish provision as stated above, which would result in voidance of the floating charge. The Supreme Court based its decision on the fact that the bank had a meeting with the company in May 2010, where it was informed that a preliminary decision was received. Despite the fact that the claim from the Danish authorities was only a preliminary claim and, therefore, subject to changes, inputs from parties etc., the bank’s knowledge of the potential claim at the time of the registration of the floating charge was, by the Supreme Courts’s assessment, enough to be covered by the provision. Therefore, the floating charge was voided. Under the Bankruptcy Act petition from the trustee, disqualification may be imposed on a person who participated in the management of the debtor’s activities less than one year before the reference date, if it must be assumed that the person in question is unfit to participate in the management of commercial activities because of grossly irresponsible business conduct. In the decision, importance must be attached to whether it is reasonable to impose disqualification taking the conduct of the person in question and the circumstances as such into account. As a starting point, the disqualification period is three years; however, the period may be for a shorter period in the case of mitigating circumstances. In February 2017, the Supreme Court decided whether two quarantine periods of three years could be combined into a six-year period. From the provision in the Act it was not clear whether a period could be ‘prolonged’ for another three years. The case involved a member of the management in two companies that both went into bankruptcy. In relation to both bankruptcy estates, a petition for bankruptcy disqualification was filed by the trustee and later approved by the court. The management member claimed that the two companies were affiliated and for this reason he should not receive both disqualifications in combination. He claimed in addition that the two disqualifications should be effective in parallel. The Supreme Court reached to the conclusion that that the two disqualifications should be combined to a total of six years. Against the backdrop of the decision, it is now clear that two disqualification periods with same effective dates can be combined under Danish law. In this case, company ‘A’ transferred its business to company ‘B’ for 8.1 million kroner. The management in company A were the owners of company B. Company A went into bankruptcy shortly after the transfer of its assets. The issue in this case was whether the transfer has been made at a reduced price or at the market price. The plaintiff claimed that the transferred business had been executed at a reduced price, hence the plaintiff claimed that the management of company A and the company’s advisors should be held liable and compensate the bankruptcy estate. The Supreme Court noted that the transfer included the entire business of company A, including the company’s only real estate from which the company operated, all assets and rights and the employees of the company. Against the backdrop of these factors, the Supreme Court assessed that the company’s business was transferred as a ‘going concern’. The Supreme Court stated that the transfer was made for the purpose of continuation of the business, which the said price reflected. In addition, the Supreme Court noted that a transfer of business between connected parties increases the obligation to ensure that the price is in accordance with the market price and is valuated correctly under the circumstances. Therefore, it was decided by the Court that the bankruptcy estate had not incurred a loss since the valuation reflected the circumstances of the transfer. Under Danish law, the assignee, in general, undertakes the rights and obligations relating to employees at the time of the acquisition. Further, it is not allowed to dismiss an employee just to avoid obligations such as salary and maternity payment. Hence, an employee may not be dismissed because of the sole reason that the business is transferred. Employees may only legally be dismissed if the transfer of business results in, for example, shortage of work. In the case referred to, a bankruptcy estate transferred a part of the business in which an employee representative was employed. A few days prior to the transfer, the employee representative was released by the bankruptcy estate, hence he was not transferred with the business. The employee representative claimed before the Supreme Court that he was entitled to payment in the notice period and compensation owing to unjustified dismissal. The main issue that the Supreme Court decided on was whether the assignee was liable for an employee’s claim when the employee was released by the bankruptcy estate prior to the transfer of business. The Supreme Court stated that the assignee was not liable for released employees, unless the release was in violation with the Transfer of Businesses (Protection of employees) Act. The Supreme Court assessed that the release by the bankruptcy estate was executed only because of the business transfer itself. The Supreme Court decided that the assignee was liable for the claims as stated by the plaintiff. On 15 June 2015, the new Danish Public Register of Shareholders came into force. According to the 2015 Act, all Danish companies (A/S, ApS, IVS and P/S) are required to register their direct shareholders (ownership of 5 per cent or more of capital or shares) in the register. On 1 March 2016, the provisions on the Danish Public Register of Shareholders were updated. According to the 2016 Act, all Danish companies are required to register their beneficial owners holding more than 25 per cent of the shares or voting rights. The update is in accordance with EU’s Fourth Directive on preventing money laundering. The register is publicly available. The registration duty is imposed on all Danish companies, and if not complied with, the Danish Business Authority may impose a fine on the company (fine levels are still unknown). The EU Insolvency Regulation came into force throughout the European Union, with the exception of Denmark, on 31 May 2002. Because of Denmark’s opt-out relating to judicial cooperation, which effectively dates back to the Danish referendum on the Maastricht Treaty in 1992, the EU Insolvency Regulation does not apply in Denmark. Therefore, the general national Danish rules apply to international insolvency. In principle, bankruptcy proceedings initiated in another jurisdiction do not exclude a creditor from the attachment of the debtor’s assets in Denmark. If the Danish rules on jurisdiction are met, there should be nothing to prevent an implementation of independent bankruptcy of a debtor’s assets in Denmark, regardless of whether the bankruptcy has already started in another jurisdiction. The Nordic countries (Denmark, Finland, Iceland, Norway and Sweden) have all joined the Nordic Bankruptcy Convention. The Bankruptcy Convention only applies in rare cases. The Convention includes all assets and liabilities belonging to the debtor in the other Nordic countries. 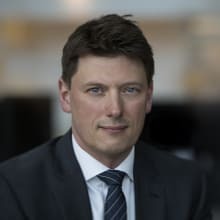 1 Kristian Gustav Andersson is a partner at Lundgrens Law Firm P/S. 2 Danmarks Nationalbank’s Annual Report 2017. 3 A ‘floating charge’ is a charge that creates a security on non-itemised groups of assets, including inventory, outstanding accounts and intellectual property rights.